Fever-Tree, the world’s leading premium mixer brand, continues to gain popularity within the international sailing community with its iconic bar activations and perfectly served drinks delighting both sailors and spectators’ alike. 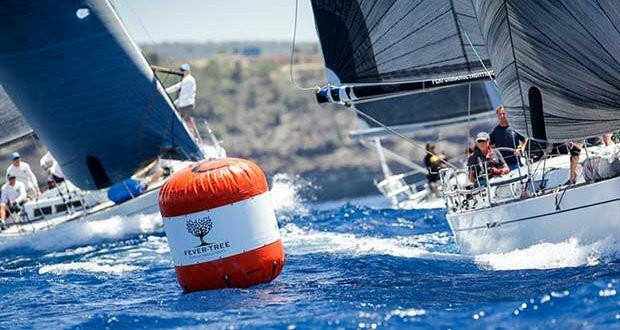 The Fever-Tree Sailing Series is extending the brand into new territories and introduces the unique Fever-Tree experience to the wider international sailing audience. Fever-Tree continued their sponsorship partnership with Antigua Sailing Week as the events official mixer provider. The Fever-Tree pop-up bar on the lawn of the Antigua Yacht Club was buzzing throughout the event with a range of classic Caribbean drinks, such as the Perfect Storm and Pink Gin. International sailing writer Louay Habib caught up with sailing stars and local celebrities throughout the week to capture the daily ‘Fever-Tree Moment’, including outright world speed sailing record holder Paul Larsen’s Tanqueray Gin and Fever-Tree Aromatic Tonic, Eddie English and Harold Cudmore’s Perfect Storm and local DJ and Antigua Sailing Week Master of Ceremonies Kenny D’s 5 Year old English Harbour Rum and Fever-Tree Ginger Beer. Fever-Tree will be present at Kieler Woche, Europe’s largest sailing event, bringing two of its iconic Ultimate Gin & Tonic bars to an event now in its 136th year. One bar will be positioned in Schilksee with the other located in the Internationaler Markt. Both bars will be serving a selection of Gin & Fever-Tree tonics along with some other classic long drinks to an anticipated audience of over 3 million visitors. Fever-Tree have announced their continued support of Lendy Cowes Week, renewing their position as Official Mixers Sponsor for a further two-year period. 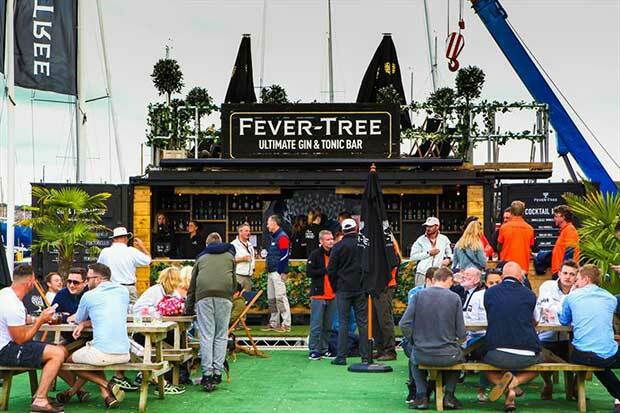 Partnering with Cowes Week Ltd, organisers of the prestigious sailing regatta, Fever-Tree are returning for the sixth year, since first bringing their Ultimate G&T Bar to the sporting event in 2013. Tonic of choice in the world’s best bars, Fever-Tree recently launched Refreshingly Light, the ultimate low-calorie mixer range, following the success of their light tonic water. The new range will be available on the Fever-Tree bar at Lendy Cowes Week, perfectly paired with a selection of gins and other dark spirits. Fever-Tree’s planned activation at Lendy Cowes Week 2018 includes their Ultimate G&T Bar, sited in Cowes Yacht Haven, as well as G&T boat-drops. New for this year, Fever-Tree will support an Official Party, the Fever-Tree Crew Cap Party, to be held at Shepards Wharf Marina on the Thursday 9th August. Fever-Tree will also feature a range of gins on their event menu, alongside Official Rum Sponsor, Westerhall.